Multi-purpose and slow cooker. 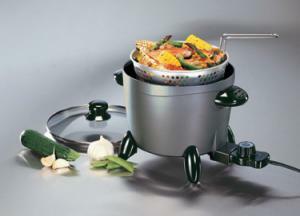 - Includes see-through cover and steam/fry basket. - 1300 watts. Includes see-through cover and steam/fry basket.